If there was one consistency in the credit card industry throughout 2011, it was definitely the inconsistency. From political bickering, the bumpy start to the 2009 CARD Act, the sometimes confusing text in the Dodd-Frank bill, by the time we went to press with breaking news (more than a few times this year), the currents had already shifted. So what does this fast-moving train mean for 2012? Will there be more of a balance? Will the unpredictable economy shape this particular sector as much as it did this year? And when it comes right down to it, will it truly affect your daily life? We took step back and from a different perspective, we discovered there just might be a bit more predictability for 2012 – and it’s not a moment too soon. According to Moody’s Investor Services, late payments and defaults were nearing the normal mark of what they were a few years ago. Granted, no one quite understands how these dynamics are playing out since unemployment numbers seem stuck and the current European crisis is only lending to the highs and lows of the stock market, but sometimes, you just don’t question it, but rather, ride it out – and this is one of those times. Keeping perspective, though, there has been slightly more than $75 billion in credit card debt written off since 2008 – that includes both the write-offs and those accounts turned over to collection agency. Another interesting point is TransUnion’s report that close to 8 million credit card consumers completely dropped off the grid during the recession due to job losses and other tough financial factors. Now that it looks as though the worst is over for the credit card companies, they’re expected to loosen their collective grip on who receives offers for their credit cards. The best part? 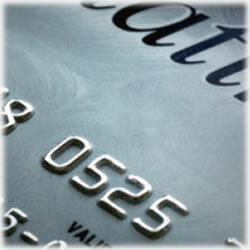 The incentives that are arriving with those credit card offers. This means, of course, a new start for millions of Americans. Sure, the interest rates are almost sure to be higher than what they were paying pre-recession, but as history has taught us, creditors are a forgiving lot and they know a second chance can be profitable for them as it is beneficial for the customer. If there’s any danger in this, it’s that neither the card companies nor the consumers are aware of just how quickly the entire brouhaha can be brought back to the surface. Indeed, caution is advised. Thanks to the new Consumer Financial Protection Bureau (CFPB), efforts are underway to make those terms and conditions that come with our credit cards much clearer. Less confusing verbiage, and instead, clear language that gets to the point and explains exactly what the contract means. On December 7th, the first draft was released. It’s currently being reviewed by both consumers and card companies. There are just 1,099 words – compared to the traditional contract that easily surpassed 5,000 words; no confusing legal terms, either. You’ll have a better understanding of balance transfers, transaction fees, any intro APR offers your card might include along with what’s due and when, what happens to your intro APR if you’re late making a payment and even a formula that tells you exactly how your specific interest is calculated. You’ll also understand both your rights as a customer and the company’s rights. Phone numbers and your rights should you dispute any charges that appear on your statement, along with no shortage of websites to visit make this a major improvement to the traditional “small print” we grew up with and assurances that we did read every single word, knowing full-well we never did, yet hoping for the best anyway. And in case you’re wondering – the statistics are hard to quantify, but it’s believed as many as 64% of us never read the small print in our contracts because we simply don’t understand it. In recent months, a growing number of analysts have suggested a complete “crash and burn” needed to happen in the American financial sector. In hindsight and in some ways, that just might be exactly what happened. From all viewpoints, it appears change is coming fast; change we each can live with.